When you are interviewing for a sales position, your goal is to sell yourself to the hiring manager. A sales job interview is among the most challenging of interviews — interviewers will have high expectations for your persuasive powers, and candidates will need to do more than simply respond to questions. Because your job, if you’re hired, will require you to be an effective salesperson, the hiring manager will expect candidates to do just. You’ll need to sell yourself, your qualifications for the job, and show the interviewer that you have the ability to close a deal. Below, you’ll find helpful strategies for how to respond to interview questions, along with examples of common sales interview questions and sample answers. Review them to help frame your responses based on your own qualifications, skills, product knowledge, achievements, and sales experiences. Also review a list of questions to ask your interviewer. If you quantified your achievements on your resume, share some of those numbers and percentages in your responses. Interviewers will be looking for you to demonstrate that you have the necessary skills. Review this list of sales skills, and look for ways to highlight your mastery of them in your answers. In addition, be sure to tailor your responses to reflect the company’s products, services, and goals. Spend time on the company website and researching the company online, so you are clear about the company’s mission. The more you know about the company, the better equipped you’ll be to respond. If you’re interviewing for a cold-calling sales position, you’ll need to convince your potential employer that you have the chops to persuade complete strangers to buy the company’s product or service. Here are some possible interview questions you might be asked and ways you can answer to prove your mettle. Customize your answers to play up your personal strengths. Bring up strengths that are important for telemarketing, such being a good listener, understanding customer needs, relating to customers and being a persuasive speaker. When you point out a weakness, always follow up with how you’ve worked to overcome it, especially in a job setting. Absolutely. I enjoy reaching out to people with new products and ideas. I am comfortable making cold calls. I have found that some of my most interesting sales have been the result of a cold call, to someone who was rather unsure of their interest in my product at our first meeting. I don’t mind making cold calls, but I prefer to start my sales cycle with a customer who has shown some interest in the product. Warm leads are proven to be more cost-effective in the long term, and they are a more efficient use of my time spent calling. I really enjoy educating people on products that could help them or make their lives more enjoyable. I like to keep in mind that they would never know about these products if I didn’t make that call. I feel a lot of pride when I complete a sale and provide a great service to a new customer. I am very competitive and enjoy achieving and surpassing sales goals. I love the teamwork environment of working in a call center. You might hear this question if you come to the interview with prior telemarketing experience. Be prepared to share how long your average call handle time was and how many calls on average you accomplished per hour. Explain any variables, such as if you used predictive dialing, and how those variables increased or decreased your efficiency. I know customers are not always in the mood to receive a call. I find that apologizing often calms customers down. I always try to set up a callback time, because I don’t want the customer to miss out on the valuable product or service I am offering them. Explain how. If possible, explain how you met your sales goals in the past. Perhaps you developed a new sales strategy, or worked particularly well on team sales. Explain how you achieved success so the employer can better understand your skills. Don’t blame others. Sometimes an employer will ask a question such as, “Tell me about a time you did not achieve your sales goals.” These kinds of negative questions can be tricky. However, avoid blaming others – such as your employer or coworkers – for a failure. Briefly describe the circumstances of the event, but then focus on how you improved your sales afterwards. By focusing on the steps you took to achieve success the next time, you will show the employer that you are innovative and can handle a challenge. I have always met or exceeded my professional sales goals, and most often my personal ones too, especially during the last few years. With my experience I have learned to set my personal goals at an attainable level that is very high but not unreachable. During the course of my career I’ve achieved several sales records. Between 20XX and 20XX, when many of my sales colleagues were leaving my industry and seeking other work in light of the recession, I managed to increase my production by 12 percent over the previous year by developing new sales strategies and techniques to help increase my success. I think there are interesting points to both types of sales. I like a longer sales cycle, as it gives me time to get to know the customer, and spend time educating them about the benefits and uses of the product. Shorter cycles are more intense, since you typically don’t have the luxury of too much personal knowledge of the customer, or the time for lengthy explanations. You need to hit the high priority topics rather quickly. When you answer questions about your sales successes, be sure to give a tangible example of how and why you were successful. When applicants are interviewed for a sales job the interviewer is looking for quantifiable accomplishments i.e. closing the sale, 56% increase in revenue year over year, how you made the sale, etc. I would say that my most successful sales have followed a similar pattern. Once the customer has expressed interest in the product, I make myself available to answer any questions they may have. Next, I try to fill them in on the details they may not be familiar with, i.e. features, benefits, etc. I believe that when a customer is making a purchase, especially a large one, they like to have time to fully understand what features the item has, and what makes one company preferable to deal with than another. By representing a company with a superior product and a high level of customer support, I am confident in offering a fair price, and I have been very successful at landing most of my sales. I have been very fortunate to have met many interesting people in my career in sales. One of the sales which I would consider my most successful was an international sale of a large number of books which had been returned after a major retailer closed. Through my contacts, I learned of an English Language bookstore in a small suburb of Delhi, and I was able to offer the owner a terrific deal, which helped out my company tremendously, by not having to re-stock the items. The best way to answer this question is to actually know what your colleagues think about your personality in the workplace. Think back to any times that a colleague has praised an aspect of your personality, such as when you were a great team player on a project, or when you demonstrated kindness and helped a struggling employee. Perhaps a colleague once wrote a reference letter for you, or endorsed you on LinkedIn. Make a list of all the feedback you have received from co-workers. Next, look at the job listing for the position you’re applying for. Circle any feedback on your list that is similar to a quality or trait the job listing mentions. Select one or two qualities to include in your answer. If you cannot remember any particular feedback (either formal or informal) from your colleagues, write down some of your strongest qualities, and circle the ones that relate to the job listing. A strong answer to this question requires two parts. First, state the personality trait your colleagues see in you. Then, provide an example of a time you that you demonstrated this quality. If a co-worker complimented you on this trait because of something specific you did, mention this. The goal is to focus on the positive aspects of your personality that relate to the job you are applying for. While you should focus on the positive, you want your answer to be honest too. By being honest, you can avoid taking a job with a company whose culture doesn’t work with your personality. My colleagues have told me that I am extremely organized and excellent at time management. During one team project, my team members praised me for developing and sticking to a timeline for all the phases of our project. We ended up successfully completing the project ahead of time. My co-workers would say that I am very optimistic, and always look for creative solutions to problems. When many people at my former job were upset about budget cuts to our department, I devised a few clever ways to maintain some of our resources on this limited budget. I’ve been told that I am both a strong leader and a team player. One colleague offered to write me a personal letter of reference once because of my strong team leadership. He was impressed by my ability to effectively lead a group of colleagues while simultaneously listening to and considering everyone’s input. She would describe me as a person who leaves no loose ends. I have often been complemented on my attention to detail. My former supervisor would say that I work well as a part of a team, as well as being motivated on my own. At that particular company, it was important to be able to keep all the team members informed, as we worked collaboratively on many sales. It was an interesting environment, and I found it enjoyable and challenging. He would describe me as a self starter. We were responsible for our sales from first contact to the close, and worked alone and independently most of the time. There were some experienced sales people who had a difficult time with the lack of structure there, but I found it satisfying to have that kind of autonomy. 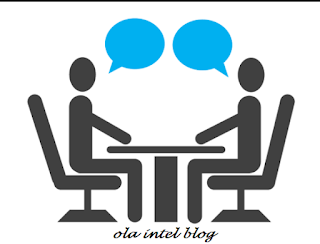 Interviewers for sales jobs and other marketing positions may ask you to demonstrate your approach to selling a product as part of the interview. Be prepared to pitch a product or service, even though you don’t know what you will be asked to sell. You might be asked to sell the interviewer a pen, a pencil, a stapler, an apple, or some other object. As with other hypothetical questions there will be no right answer, but the employer will be interested in the sales process that you follow, your verbal communication skills, and your enthusiasm and creativity. Make sure that you are positive and excited about the product as you introduce it. You might say something like “I am so excited to tell you about how this pen can help you to write in a legible, attractive and efficient manner.” The nonverbal elements of your presentation will be as critical as your words, so make sure you pitch the product with an enthusiastic voice and facial expressions. Animation can help you to convey excitement and underscore your confidence about the value of the product. An important phase of the selling process is getting to know your customer, so you might try asking the interviewer for some clarification about his or her potential uses of the product. Then you can play off the interviewer’s answer to emphasize some features of your pen that might help them with their activities. For example, if your interviewer mentions taking notes at meetings as a priority then you might mention in response that your pen has a fine point and non-smearing ink which would enable her to take legible notes. If your interviewer was frustrated by pens that didn’t write on certain surfaces or easily ran out of ink, you could emphasize how freely the ink flows from your pen and the large capacity of ink available. Some interviewers may not play along with your effort to assess their preferences. So be ready to sell the product without their input. Emphasize features of the product and benefits that the customer will derive from owning and using it. Think about your own experience with the product and the likely experience of other users. For example, “My customers are finding that our apples make an excellent healthy snack for families on the run or to pack with your children’s school lunch. Our apples are fresh and crisp since we source them weekly from local orchards. We only sell apples which are grown organically without pesticides and chemical fertilizers. Eliciting and overcoming objections to a product is a critical element of the sales process. After making some statements about the benefit of the product, check back with the interviewer to determine if they have any concerns that would stand in the way of a purchase. An employer will ask you this type of question for a number of various reasons. He or she wants to know how self-aware you are and whether or not you have any long-range visions or plans. Employers also want to know whether you plan to stay at their company for a while or if you are considering leaving them at the soonest opportunity. While it might be hard to think about the future in an interview, there are ways to successfully answer this question. Below are a number of tips for answering this question well. Start with short-term goals, then move to the long term. You probably have a good sense of your short-term goals, such as getting a job with an employer like the one you are interviewing for. Start by describing these goals, then move on to more long-term plans. Explain the actions you’ll take. Listing goals is not going to make a strong answer. You also want to (briefly) explain steps you will take to achieve those goals. For example, if you want to take on a management role, explain the steps you have taken, or will take, to become a manager. Perhaps you are developing your leadership skills by running group projects, or you plan to attend a series of leadership conferences, or you are pursuing a specialized management certification. Describing your plan demonstrates that you are thinking analytically about your career future and your potential growth within the company. Focus on the employer. Even though this question is about you, you want to convey that you won’t abandon the employer anytime soon. Focus on how you will add value to the company through the achievement of your own goals. Don’t get too specific. While you want to present clear goals, do not get into too many details. For example, if you know you want to work for a particular company in a particular position (not the company or position you’re interviewing for), don’t share this with an employer. Emphasize more general goals, such as taking on particular responsibilities. This allows you to balance clear aims with a flexible attitude. In the short term, I hope to work as a sales representative for a company such as yours; one with a mission based on stellar customer service and care. Working as a sales representative for a company I believe in will prepare me to hopefully take on expanded team leadership responsibilities in the future, as these become available. My current, short-term goal is to develop and use my marketing and communications skills in a job similar to this one. However, I eventually want to develop into a position that allows me to continue to use these skills while also managing a marketing group. I will prepare myself for this goal by taking on leadership positions in team projects, and by developing my professional career by attending leadership conferences such as the one put on annually by your company. Although I have just completed my LPN certification, my long-term goal is to take my nursing career to its highest level by eventually earning my RN degree. My plan is to work full time in a long-term care environment or hospital for the next few years, which will give me both the funds and the experience I’ll need in order to excel in an RN program.